Could hemp be a lifeline for struggling farmers? 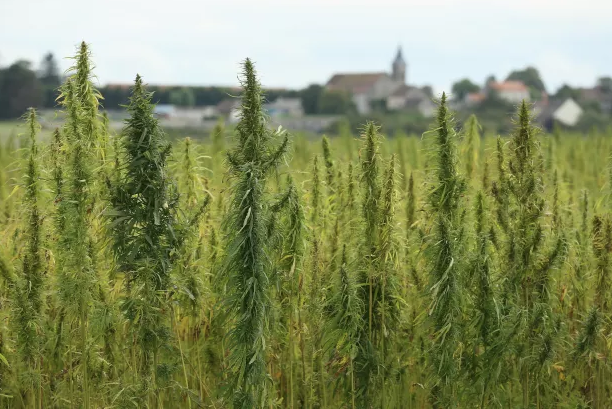 Hemp, which produces valuable CBD oil, is set to become recognized as an agricultural crop this year, and could provide a much needed influx of revenue for Western agriculture. Amid all the excitement around marijuana legalization in America, another newly legal crop has received comparatively little attention: hemp. And yet hemp may prove to be even more transformative, especially in the West's arid landscapes. Hemp is a variety of the cannabis sativa plant that is not psychoactive. Whereas marijuana plants can produce both the psychoactive tetrahydrocannabinol (THC) and the non-psychoactive cannabidiol (CBD) extracts, hemp produces only the latter. More hemp farming is going ahead in Jersey following a successful first trial season. The Environment Department has been looking at diversifying the island's crop pattern, due to the heavy reliance on potato and dairy farming. Following the move, 2.5 vergees of hemp were grown in a secret location, which has now been revealed as Warwick Farm. The hemp harvested was of good quality, while the crop also gave a seed and oil yield which was "beyond expectation", according to the Environment Department. Now farmers have started to plant around 260 vergees of hemp across the island. Scott Meadows, who is the Acting Director for Rural Economy, says hemp can be valuable to the island due to its pharmaceutical benefits. Medical Cannabis Payment Solutions (OTC:REFG), a Nevada corporation specializing in state-of-the-art financial services structured to serve the medical cannabis and banking industries, announced today that it has acquired 40 acres of agricultural land to cultivate hemp as part of Utah’s recently passed law, H.B. 302. The company will seek a license to grow hemp as part of the state’s Department of Agriculture and Food licensing program. In 2014, Utah passed H.B. 105, which allowed legal possession and use of CBD oil by registered patients with a doctor’s recommendation and intractable epilepsy. 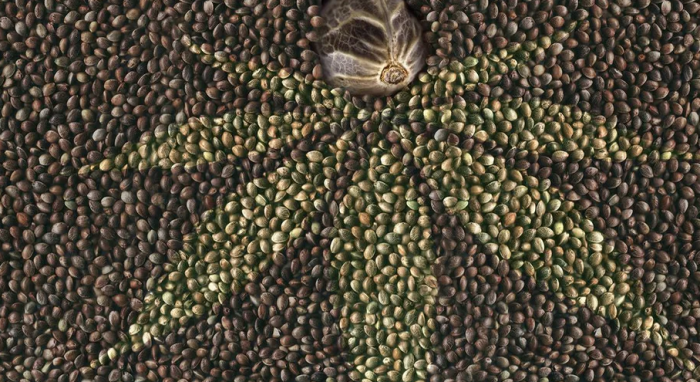 Agriculture experts argue that a strategic seed bank would help bring hemp cultivation further into mainstream farming, where crops are grown not as an experiment, but as an economic investment. If a handful of U.S. Senators have their way, a treasure trove of cannabis seeds could soon be on its way to the federal government. The Northern Territory Government is set to green-light the industrial hemp industry, and moves are afoot to commercially cultivate medical marijuana. Draft legislation to legalise the growing of industrial hemp has gone to Cabinet, a Government spokesperson said, with new laws that would bring the Territory into line with other Australian states expected to pass by the end of the year. A trial crop in Katherine has proven successful, with the region's climate conditions expected to give the NT a "big commercial advantage". "Following a successful department trial, the Territory Labor Government believes there is serious potential to grow industrial hemp as a new job-creating industry," a spokesperson said. Manufacturers seeking healthier, eco-friendly production techniques are turning to hemp. There are many different varieties of the cannabis plant. Hemp — also called industrial hemp — refers to the non-psychoactive (less than 1% THC) varieties of Cannabis sativa L.
Both hemp and marijuana come from the same cannabis species, but are genetically distinct and are further distinguished by use, chemical makeup, and cultivation methods. A whole lot of cannabis is heading to Beijing in preparation for the 2022 Olympic Winter Games. And, no, it's not to help the athletes relax or get focused. Instead, this weed is being used in the construction of the game's bobsled track, writes Calvin Hughes. No, hemp is not marijuana. That’s the most common misconception about the food product – legalised in Australia last November – and commonly used fibre. While hemp and its more famous cousin, marijuana, are both varieties of cannabis sativa, one of the three main subtypes of the cannabis plant, they’re different in a number of ways. Hemp contains negligible amounts of THC — the intoxicating substance in marijuana — and can’t get you high. Marijuana can contain up to 30% THC, while hemp contains less than 0.3% (per dry weight) THC. Hemp has more CBD, a non-intoxicating compound with medical applications, than marijuana. Arizona is the latest state to allow farmers to grow industrial hemp. Gov. Doug Ducey on Monday signed legislation that funds a pilot program for growing hemp. The fiber form of marijuana can be used to create a variety of products like building materials, food, paper and textiles. Ducey’s office says at least 34 states have passed legislation related to industrial hemp, and that the product will benefit Arizona’s economy. The new law says hemp grown here cannot contain more than .3 percent THC, which is the psychoactive element of marijuana. Growers, harvesters, processors and transporters will be required to get a license from the state agriculture department. The legislation also spells out penalties for anyone who violates the licensing requirements.